Breathable, Anti-Fungal Nail Polishes - Are They Any Good? We’re all about offering our patients the BEST and most effective solutions to foot and lower-limb issues, so are loving the great results our patients are getting with these nail polishes. They’re anti-fungal, anti-microbial AND breathable, so perfectly complement Cold Laser for treating fungal nail infections. We’ve enjoyed providing a solution to wanting to wear nail polish to hide the previous damage of the fungus while the treatment works and the nail grow healthy and clear. We’ve also been using an anti-fungal and anti-microbial serum to help prevent reinfection, and it’s been fantastic with patients growing healthy and clear nails! We recently decided to investigate stocking this line of antimicrobial nail products all the way from Germany because of the way these products optimise the effects of our Cold Laser EVEN more. We’ve been so stoked by the success of our Cold Laser treatment and its ability to safely, effectively and painlessly kill stubborn nail fungus. We’re just shy of a year since we first introduced this revolutionary technology to New Zealand and our patients are looking and feeling great with healthy, clear and fungus-free nails. We chose this because unlike other nail polishes that don’t let nails breathe and can trap nail fungus, this is made with vegan silk that is breathable and actually allows air and moisture to pass through. This helps nails to remain healthy a strong, eliminating the weakening of the nails with nail polishes that often leaves them much more brittle. Of course, the main benefit is that it contains their patented microalgae called Spiralin, which has proven anti-fungal, anti-viral, anti-bacterial and cell-regenerative properties. What we like most about it is that it finally gives us a solution that we’re confident to promote to those patients wanting to paint their nails and still get best results from the Cold Laser treatment for fungal toenails. It’s now possible to do this while having a peace of mind that you’re not trapping any fungus or encouraging it to grow. This nail serum has proven to be a great adjunct to our Cold Laser anti-fungal treatment as that extra bit of protection and security. Just like the nail polish, the primary active agent is Spiralin, but here it is present in greater concentrations, so only one drop needs to be spread between all ten nails. Again, the serum is not just anti-fungal but also anti-viral, anti-bacterial, and actually helps to speed up the growth and regeneration of clear, healthy nails. We’ve found this to be especially useful for those patients that want to speed up nail regeneration as much as possible, as well as those that have a higher risk of fungal re-infection, such as from other people in the household suffering from nail fungus. While we definitely recommend the use of these combined with cold laser, these are great standalone products too. It’s great to see a nail polish that reduces that damage to your nails and has anti-microbial properties to reduce your risk of picking up an infection, and the protection that the serum offers your nails to keep them healthy. These are available in-store at Masterton Foot Clinic – give us a call for more info or if you have any questions! Fore more information about Cold Laser treatment for fungal nail infections, click here. 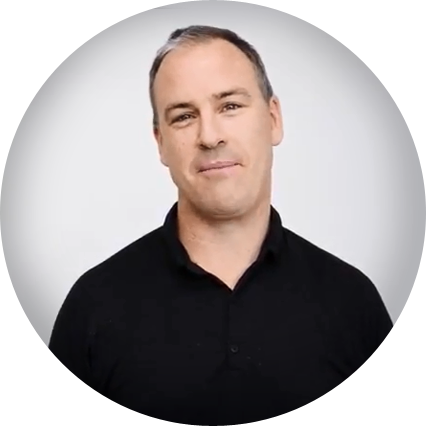 Adam is the Senior Podiatrist and Director of Masterton Foot Clinic. He qualified as a podiatrist in 1999 and has since worked in practice in both Australia and New Zealand. The feet, he says, “are the foundation of good health, and it is my job to enable patients to live the healthiest lives possible”. For Adam, Podiatry is about giving his patients the ability to do the things they love and reach their full potential through providing excellent lower limb care that gets great results. Outside of work, Adam loves to tramp, fly fish and play with his kids.